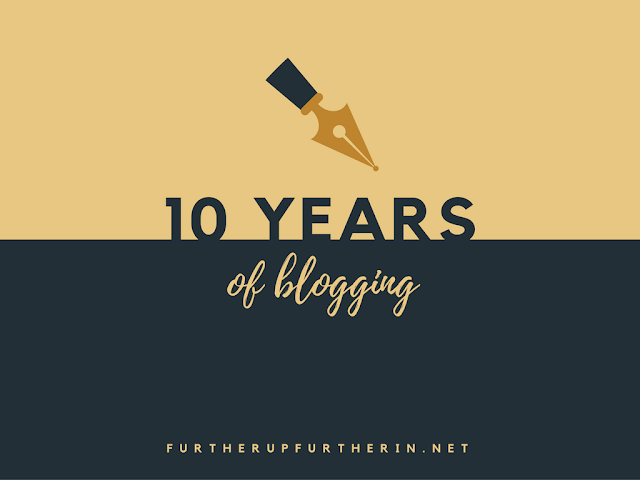 Today is a day I've looked forward to since I was a young girl: my ten year anniversary of blogging. A lot of people, including myself, thought I wouldn't make that milestone--a blog couldn't possibly last ten years, right? And in a sense that's true. My blog technically didn't grow and bloom for an entire ten years. A lot of times, my blog languished. I switched blogs a few times and hopped back and forth between blogging platforms. To say that Further Up and Further In is the same as it used to be wouldn't be true--but then again, I'm not the same as I used to be either. 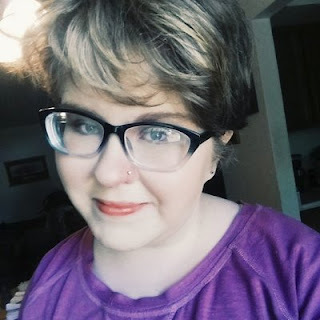 Blogging has made my life better--I've learned to be a better writer, and I've found so many of my best friends as well. Though I always hoped I'd make it here to ten years, I didn't think I actually would. Ten-year-old me theorized a lot about what the world would be like when I was twenty and had been blogging for ten years! Maybe at that point, I thought, I would be writing about my husband and kids. Ha. What a dreamer. If there's one thing that's a constant in my life, it's writing--but more than that, it's BLOGGING. I was ten when I started my first blog. TEN! Looking back at it now, it boggles my mind. Like, what the heck? I was just a tiny, tiny baby. And wow. Now I'm 20, and Further Up and Further In is still here. I'm still here writing and blogging. And I have to say, that's pretty incredible. So, I don't even know how to say thank you for making this a thing! If you didn't still read my blog and comment and care, I don't think I'd still be blogging. I love you guys so much. Because of my 10-year-blogiversary, I have a couple of surprises! To thank you for being such loyal readers, I wanted to host a giveaway. Unfortunately, I'm a broke 20-something, but I do have a penchant for graphic design. NaNo's just around the corner, so what better way to celebrate than entering a giveaway for a book cover? Thanks to Ashley for letting me use her cover as an example! 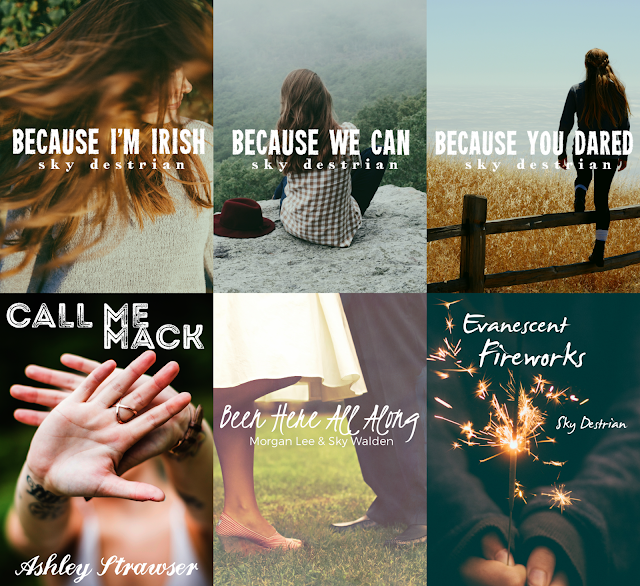 Book covers typically go for $15 over on my site. They will be made so that they'll be free to use for commercial products (i.e., you can use them if you self-publish your book!). Whether you want it for publishing purposes or just for fun, I'll do my best to make them fit the atmosphere and inspirational vibe of your novel! I'm excited to get to give this to one of you! One lucky winner will receive a custom book cover for a novel of their choice. The giveaway will be open for a week and will close on October 12, 2016. Again, guys, thank you for making the past 10 years of blogging a blast. This wouldn't be possible without you. So thank you from the bottom of my heart. I love you! Hiiii! I'm so thankful for your blogging anniversary because without blogs, we wouldn't know each other. <3 Glad you're my best friend. Ten years??? I forgot that you've been blogging longer than me. I was just telling mom the other day that it was actually you who got me into blogging in the first place. Love you, dear friend!! Well, I'm not doing NaNo, BUT I am hoping to turn my current blog series on international adoption into an eBook, so I'm going to need a cover. Just last night, I was laying in bed thinking about that very thing! How timely! Congrats on your blogoversary. That's a big deal! November is always an inconvenient month for me to do NaNoWriMo, put hopefully I can get some work done on my WIP during Thanksgiving break! I have loved your blog for a long time and love the new design. Happy 10 years! Woah, that's incredible. Hope to see you blogging for many years more! SKY. 10 Years? THAT IS AMAZING!!! I mean, from 10 years old to 20?? That...that...is a humongous change. I am in awe! I am sooo glad you chose to blog and continue to. Yours was one of my very first blogs to follow, when I was a little baby blogger. It inspired me then, and still inspires me today. You have such a way with words that almost always makes me want to get up and go LIVE and WRITE and do wonderful things! I just love your writing and honesty and YOU. You are a true blessing to this world. TEN YEARS OH MY GOSH. And I love your new design! Congratulations!!! :) Ten years is a huge deal! And your book covers are super pretty. I'm gearing up for NaNoWriMo by working as fast as I can to finish my current project. xD But procrastination is really great at being my mortal enemy. TEN YEARS. That is incredible, and your new site design is nothing short of gorgeous. Like Magic Violinist, I'm editing my current project as quickly as I can so I can take a nice big NaNo-sized break with something new in November!! Congrats on the blogversary! Well done! What a milestone, you have a lovely blog. Beautiful Books 2016: Introduce Your Novel!